Please join the Diablo Symphony Association in celebrating Patrick and Shirley Campbell’s many years of dedication and service to the Diablo Symphony Orchestra! Pat Campbell has been on the board of directors of the Diablo Symphony Association for over thirty years, and was also president for twelve; he now serves as the historian for the Association when not playing banjo in a Dixieland band. Shirley Campbell played flute with the Diablo Symphony Orchestra for over thirty years as well until her retirement this past March, while performing in many chamber music groups in the Bay Area. 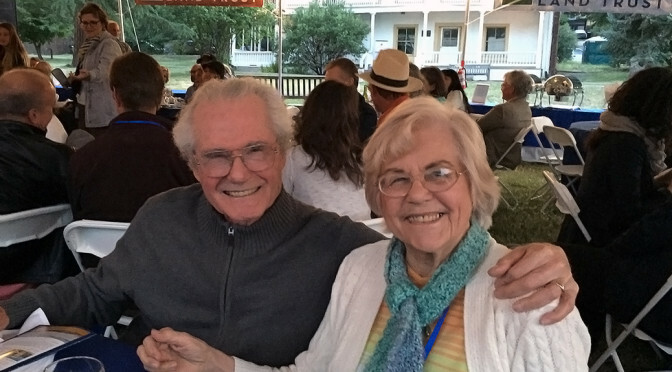 Over the years, Pat and Shirley have made innumerable contributions to the Diablo Symphony, as well as to the education and arts through their charitable foundation, and we are honored and delighted to celebrate their achievements. Our afternoon of hors d’oeuvres, music, and celebration will take place on Sunday, August 2nd from 12:00 PM to 2:00 PM at the Stanley Dollar House, 1015 Stanley Dollar Dr., in Walnut Creek. To RSVP, please e-mail Alexiss Floyd at [email protected].